Ready to learn all about the start of Wave 5? I sure am! But first some quick administrative updates on some of the earlier waves. As a reminder, due to the number of mailing issues with wave 2, Wizards of the Coast agreed to resend mailings that were lost or stolen. Information has already been collected and sent to Wizards. Mailings will be going out “soon“. Judging by social media, mailings have been trickling out for the past few weeks. Starting with Wave 3, and continuing with Wave 4 and all future waves, your Regional Coordinator will be serving as the distribution hub for any Exemplar related mailings. 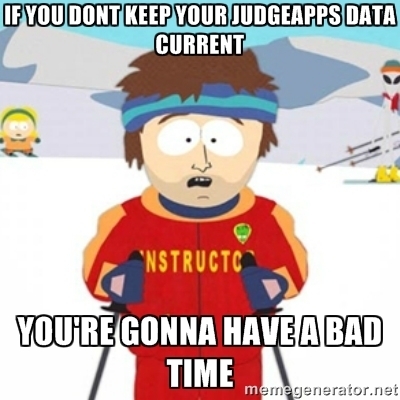 This means that having your region correct in Judgeapps should be important to you. So, turns out adding a lot of slots added a lot of nominations. Almost double last wave. There is a huge volume of positive nominations that I can’t wait to share, but I’m going to have to. Double the nominations also means double to work. We have added a few more people to the Exemplar Team to help deal with this increased volume, and have completed the initial review of the nominations and are now in the process of contacting people if their nomination needs a revision. If you are contacted, please do not delay in responding to these emails. The release of Wave 4 nominations is directly related to how quickly these issues are resolved. As I mentioned above, when Wave 4 is posted, foils will also be sent directly to your RC at the same time we start collecting addresses. This is to save time. It is very important that your region be accurate in JudgeApps. Do that now. If you live in Bolivia, but your region is the United Kingdom, then you are going to have a bad time. Now the part you care about! If you are reading this then Wave 5 is open for business. Wave 5 is going to function very similarly to Wave 4. There is a slight change to the schedule though; we are attempting to go to one wave every 3 months as opposed to one wave every 4 months. The slot breakdown is unchanged from Wave 4. It seems to have been a popular change, and we want to gather data from another round to see if it’s working to bring in the hoped-for number of nominations. Can be emulated by other judges. If your nomination can meet this criteria, you’ve written a good nomination and we want it! Fortunately, you can start writing them RIGHT NOW! You don’t even have to wait till the deadline sneaks up on you and you have to scramble at the last minute. Well, that’s all I have for this update. Check back in the next few weeks when we update our Anatomy of a Nomination article.